They received the orange and red “Daylight” paint scheme. They were primarily used on Southern Pacific’s premier passenger train at the time, the Coast Daylight. 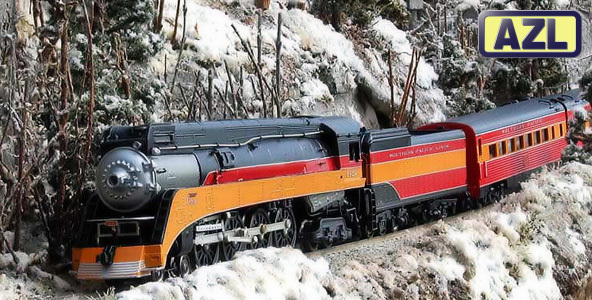 In later years after being replaced by newer GS class engines, they were painted black, had their side skirting removed for easier maintenance. 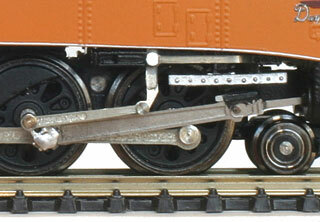 The GS-4 had a slightly different appearance than that of the GS-3, most drastically the dual-headlight casing (top headlight was a mars light) on the silver smokebox. Another change in appearance was the cab, which was changed to a fully enclosed, all-weather cab, a feature not commonly found on steam engines. It retained the skyline casing on the top of the boiler, skirting on the sides, an air horn, teardrop classification lights, and whistles. They received the orange and red “Daylight” paint scheme.